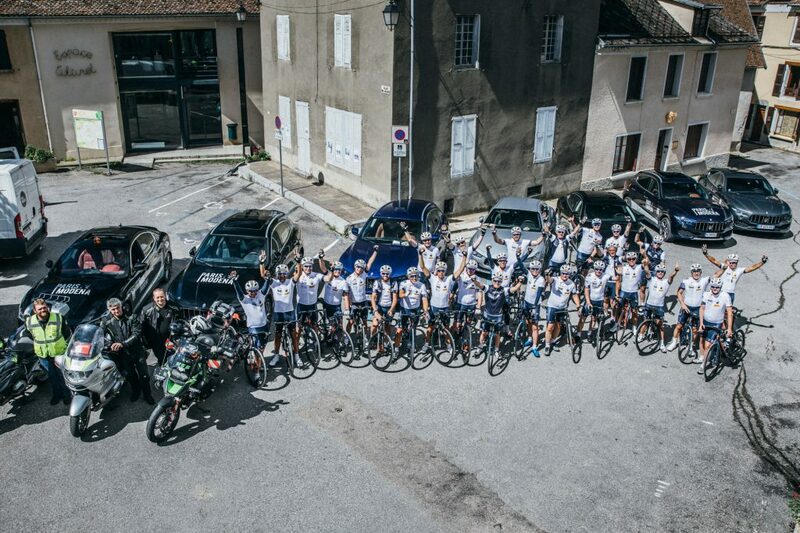 Maserati is hosting the 5th Edition of Paris-Modena, Kilometers for Charity! The Paris-Modena race is a gathering for athletes and fans of a challenge. It will take place from June 7th to June 13th 2018. Under the leadership of the famous Italian car brand Maserati and the Maserati West Europe offices, this race, as its name suggests, take place between Paris and Modena. Besides the personal challenge, each kilometer covered during this race (around 100km per day) will raise money for the association “Rêves” to realize to dreams of ill children. Once again Paris-Modena has attracted a large number of VIP participants, including F1 former driver and actor Paul Belmondo, Italian national cycling team coach Davide Cassani, former professional cyclists such as Alessandro Ballan, Marco Velo and Paolo Fornaciari. Also attending are José Miguel Antúnez, former Spanish national basketball captain, Italian alpine skier Manuela Moelgg, the Michelin starred chef Andrea Sarri, and Matteo Panini, owner of the Panini Museum, which houses one of the world’s most important collection of historical Maserati cars. This beautiful adventure is reserved to 35 cyclists, who will travel through France and Italy to reach Modena in five days! The top start of the race will be on Friday, June 8th 2018 at Vienne near Lyon, France. The route will take the cyclists to Mens and the famous climb of Alpe d’Huez. On Saturday June 9th they will continue their journey towards Galibier pass, till Modane where the city will welcome them for lunch. They will eventually reach Turin for the night. 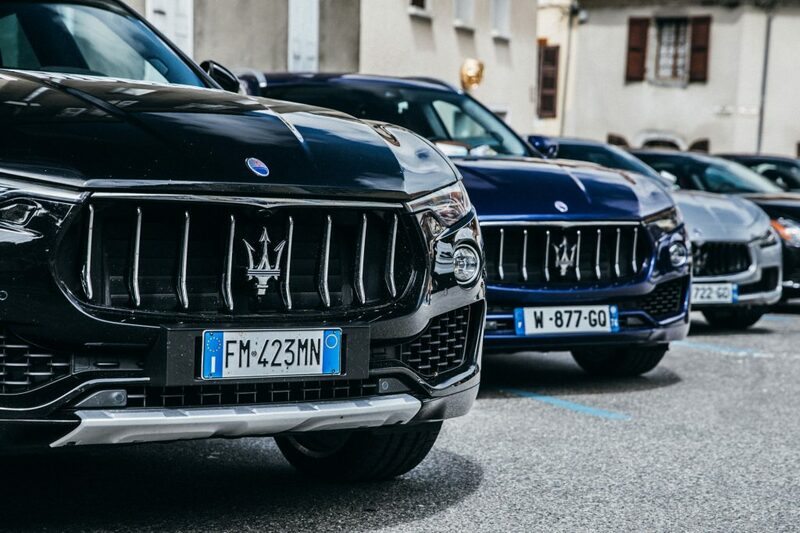 On Sunday June 10th the cyclists will start the stage from Grugliasco “Avvocato Giovanni Agnelli Plant” where Maserati produce Quattroporte and Ghibli. The athletes will also stop at the Mirafiori plant where the Mserari Levante is produced and where they will take a ride on the well-known test track.The route will continue through Langhe region. The fourth day, the participants will go to Lido Di Camaiore having a lunch there at Bagno Ariston Mare before a ride to Montecatini Terme. They will pass by Lucca, Collodi and reach the thermal city in the afternoon. The last leg of the race will lead them from Montecatini Alto through Abetone and then to Modena where the cyclists will benefit of an exclusive visit of the private Panini collection, which includes some of the most beautiful historic Maserati’s cars. The final destination will be the head office of Maserati. Pirelli will provide the P zero velo tire for the bicycles and the new colored tires for the Maserati cars.